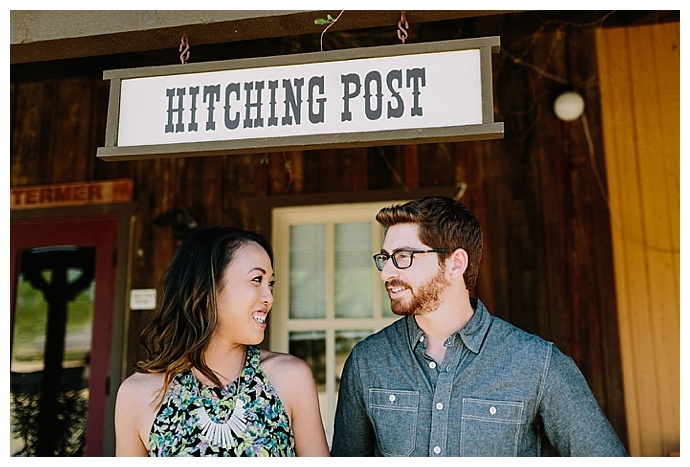 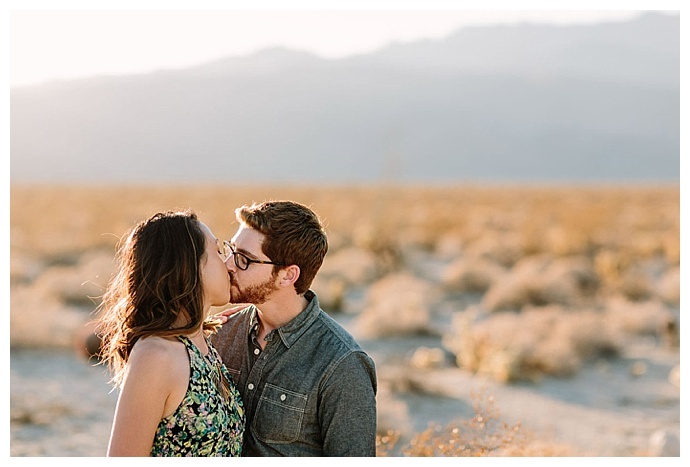 When Jasmine of Let’s Frolic Together heard how Robyn and Eric met, she knew the perfect place to take their engagement pictures. 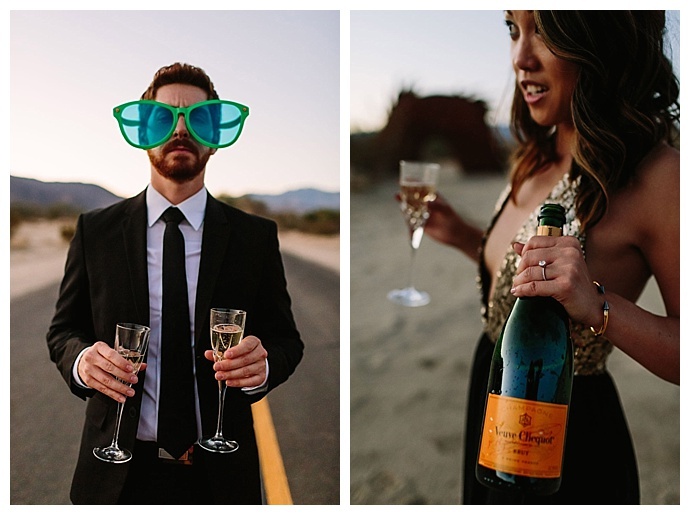 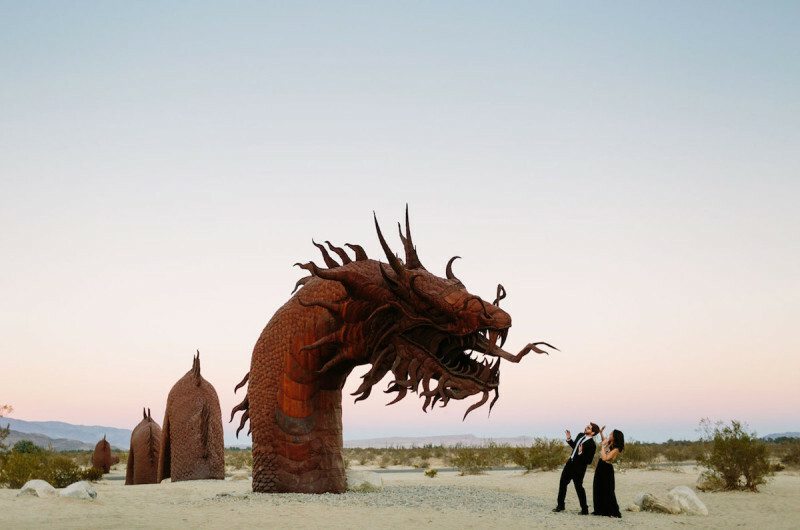 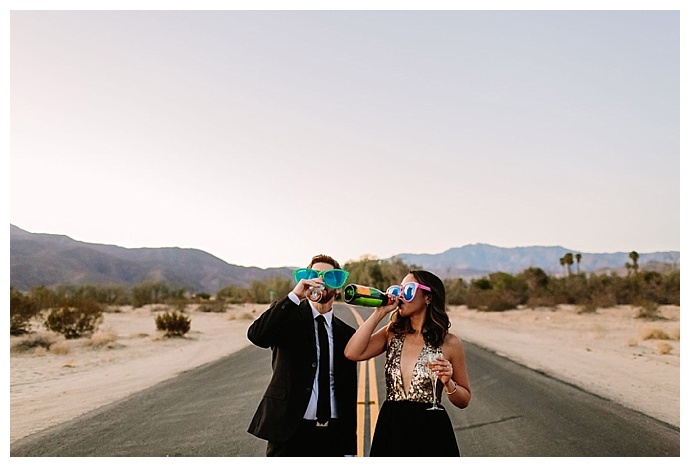 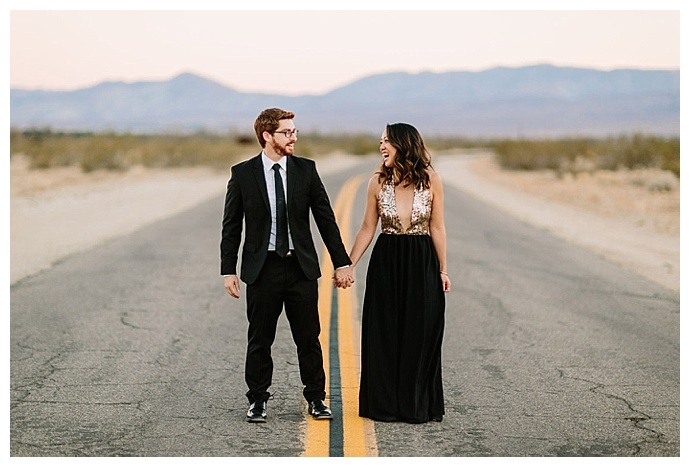 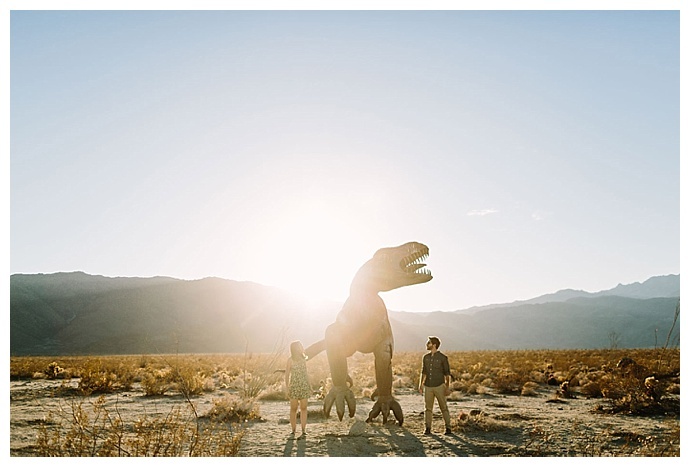 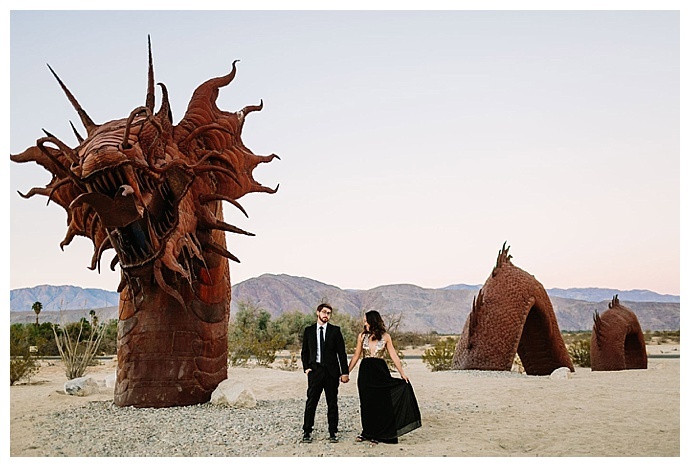 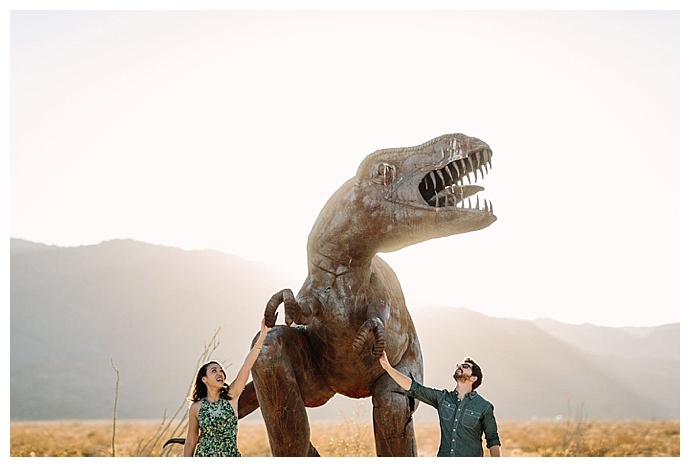 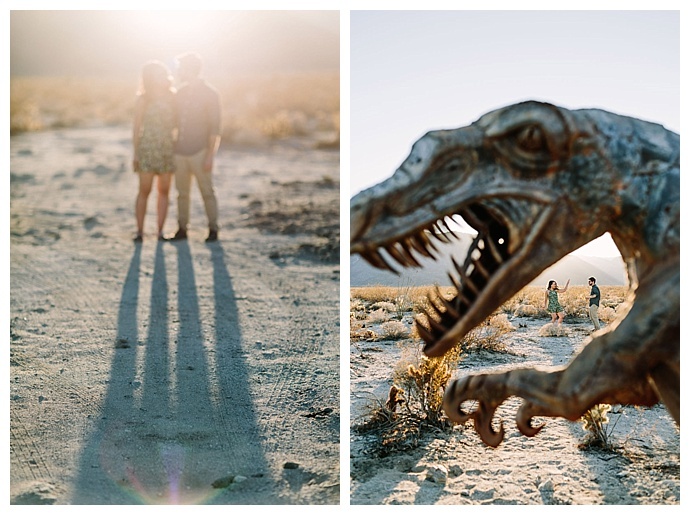 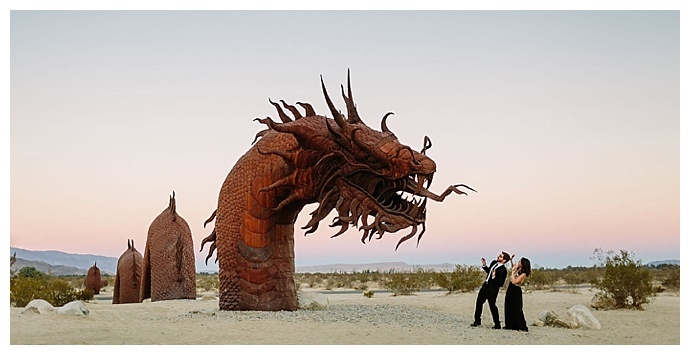 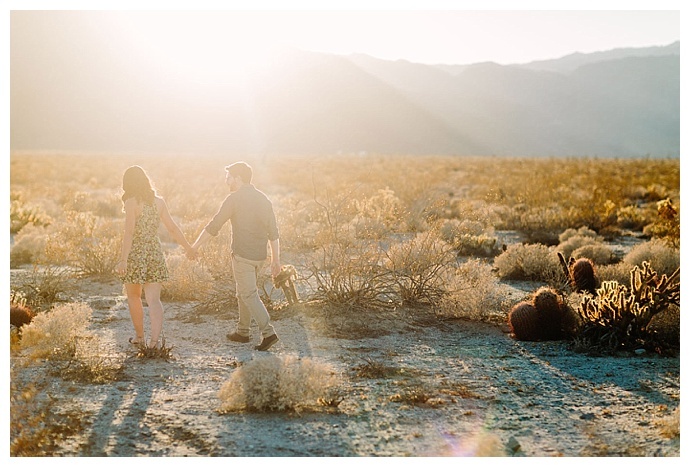 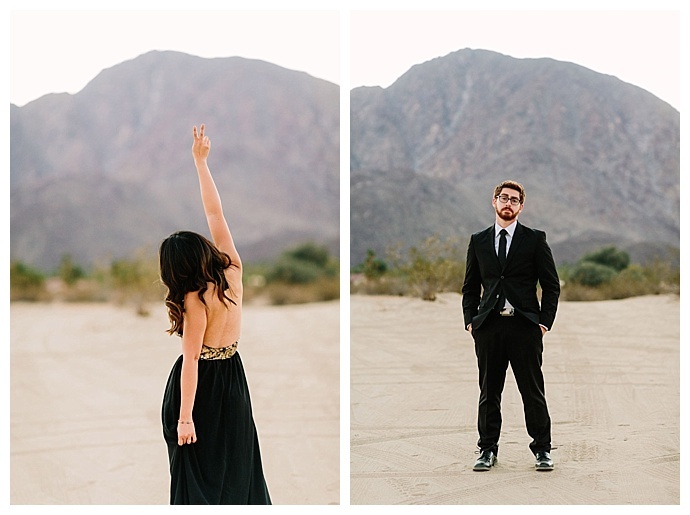 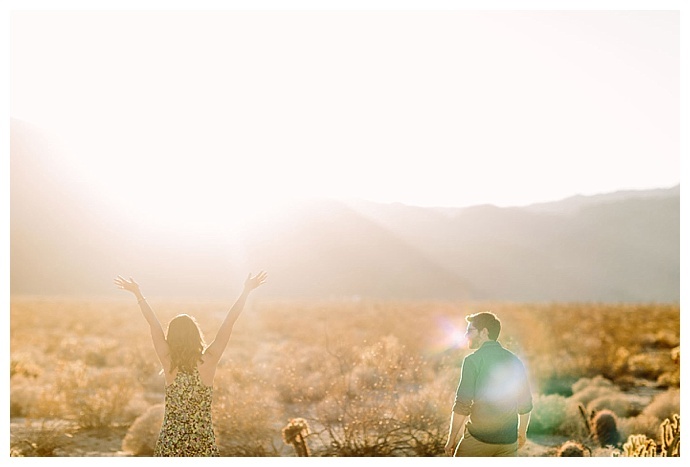 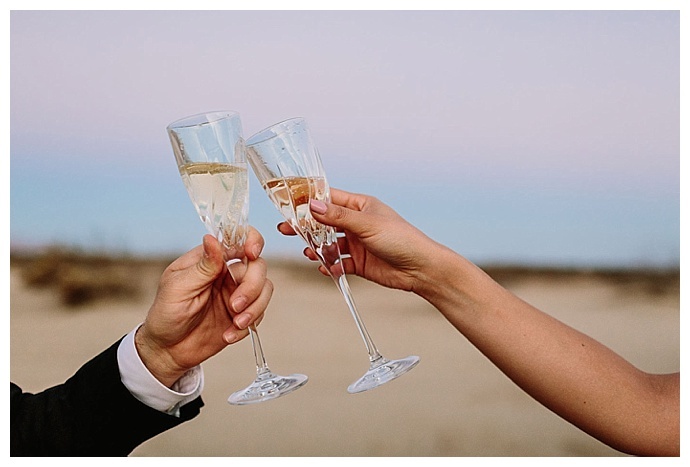 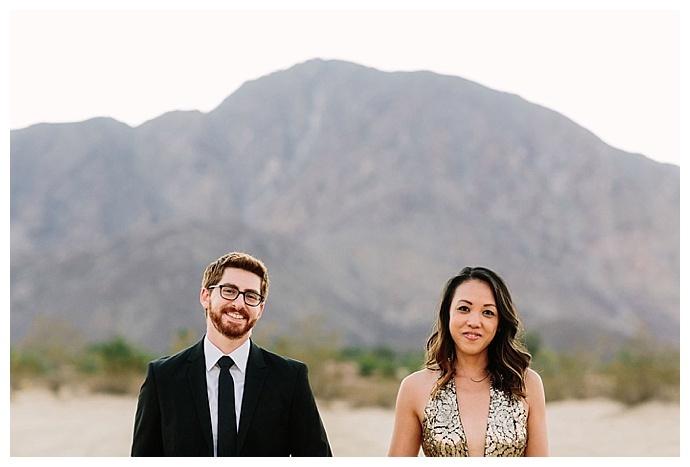 Not far from San Diego in Borrego Springs, metal dinosaur sculptures spring from the desert ground, providing an apt playground for the couple who bonded over a shared love of “Jurassic Park.” This fun-filled engagement session has it all — champagne for celebrating, goofy sunglasses that spark plenty of laughter and, most importantly, the palpable joy between two people in love. 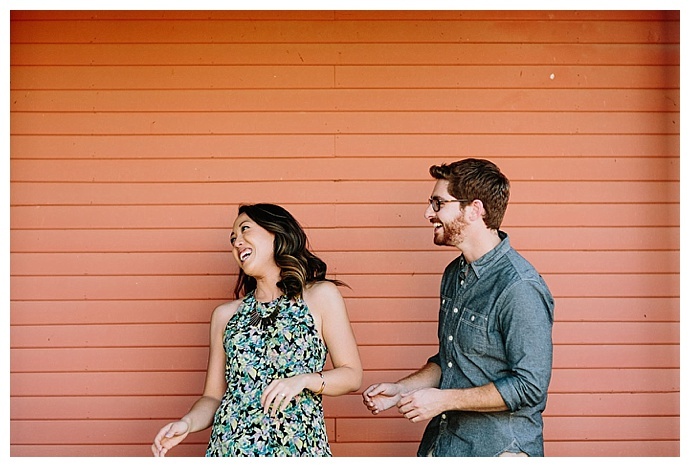 Two years after they started dating, Robyn and Eric had just recently purchased a new condo. 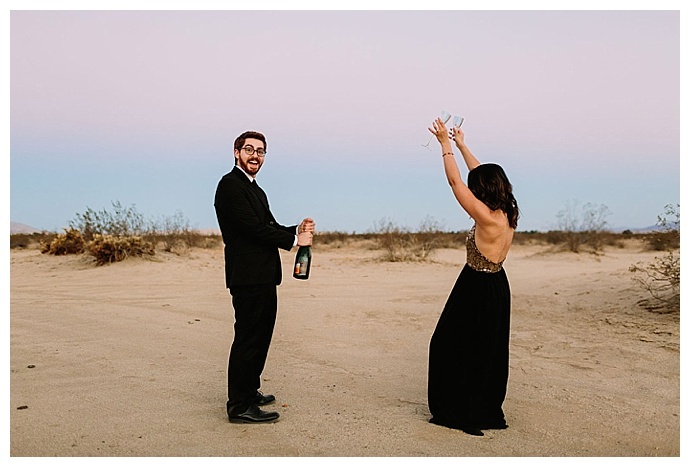 With a rooftop offering sweeping views of Los Angeles, Eric knew it was the perfect place to propose. 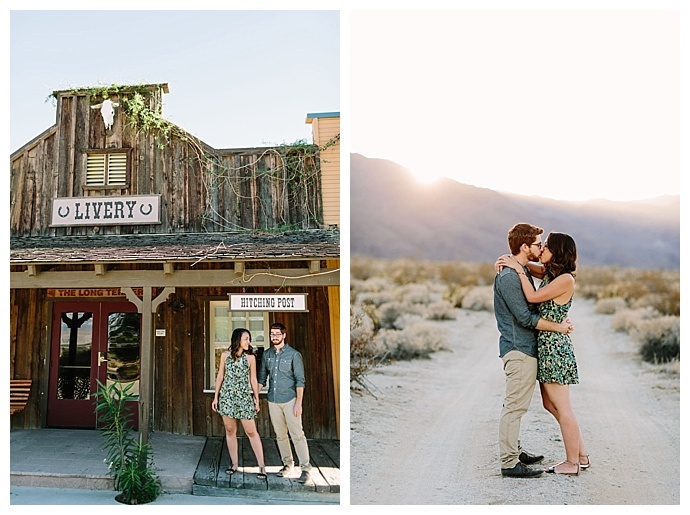 “We didn’t have any outdoor furniture yet, so I decked it out in string lights, candles and a ton of flowers,” he says. 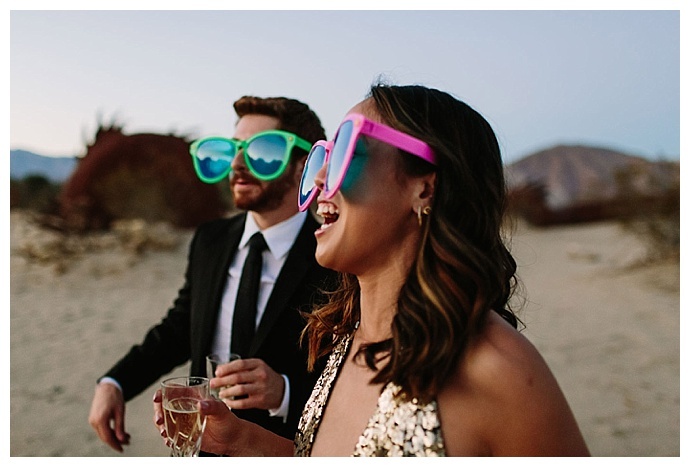 “When Robyn came home that Friday night, she was expecting to meet a friend for dinner and for me to be working late. 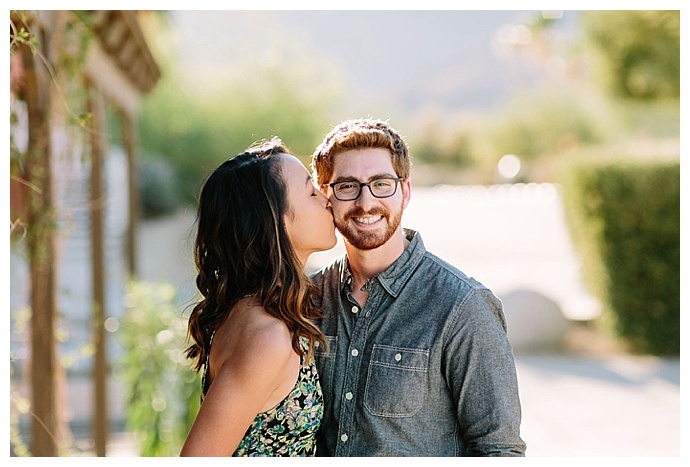 But in reality, her friend was in on it and not coming over, and I had an excused absence from my boss who was in on it, too.” Eric placed a sign at the bottom of the stairs telling Robyn to head to the roof, and while he waited for her, he frantically relit the candles that kept extinguishing in the wind.